It seems like as soon as the weather turns warm, the mosquitoes know that it’s time to swarm in the yard. Whether you’re trying to get a little lawn work done or simply sit outside to enjoy the sun, the pesky critters take no mercy and bite anything that has skin. Fortunately, there are a few tips to try that can help you keep the bugs away so that you can enjoy the outdoors once again. Anything that you can put around the outside of the home that is made with citronella will help to keep mosquitoes away more than most other products. You can find candles with citronella as well as tiki torches that make for a beautiful decoration around a deck. Mosquitoes enjoy water in the spring and summer just as much as you do, so it’s best to eliminate standing water around the property as much as you can. The insects like using standing water as a nursery when they lay their offspring. To prevent them from having a place to lay their babies, go around the home to remove old tires, containers and other items that hold excess water. This will eliminate the spaces where they will be able to reproduce, which means a decrease in the number of mosquitoes that swarm around the yard. There are traps that you can get that the mosquitoes are attracted to and will then settle inside without being able to get out. Another option is to get a mosquito control misting system that will spray areas of the yard for the insects. Products are safe for the plants in the yard so that you can protect the landscaping while getting rid of mosquitoes and similar insects. You can also use a bug light outside. When the bugs fly into the light, they are zapped. This method kills them instantly. At times, the bug is trapped for about 24 hours before it finally dies, but it won’t be able to fly out of the trap. Keep up with the landscaping as much as possible. Trim away weeds and bushes that are overgrown as these are areas where mosquitoes like to fly around. They enjoy the shade that is provided by the overgrowth, which is why you need to maintain a clean landscape. This can also help to prevent some of the other small animals that like to seek refuge from the hot sun, such as snakes. As a homeowner, dealing with insect pests is probably a fact of life for you, especially when you live in a hot, dry climate where temperatures rarely fall below freezing. While some pests are harmless and simple to handle, others can be dangerous and more difficult to remove from your property, and few present such problems as scorpions. These arachnids, which can be aggressive and venomous, will move into your home if the conditions are right. However, there are a few strategies you can use to keep them away from your property and family. Scorpions are attracted to environments that are moist, dark, and have plenty of places to hide. Since they can thrive in such conditions, keeping your basement clean and free of any moisture is an important part of repelling these pests. Avoid storing items in your basement but if you must, use clear plastic tubs with snap-on lids instead of cardboard boxes, which scorpions could invade and nest in. Store items off the floor and seal floor or wall cracks with caulk to make your basement less inviting to a roving scorpion. While you might not think of your roof as a possible source of entry for pests, loose or missing shingles could allow scorpions to venture into your attic. Because this could cause an infestation over time, you should consider having your roof inspected, especially if shingle damage is visible from the ground. Have a qualified roofer go over a roof inspection checklist with you and discuss different options for repairs. Because scorpions can be dangerous, especially to young children and small pets, you should consider calling in a professional to ensure you are doing all you can to keep these arachnids away from your property. A qualified extermination company can offer you a variety of solutions and help you keep your home pest free. For example, a pest control company can make your yard less attractive to scorpions by removing their prey, such as small insects. When there is less prey to hunt, scorpions will look elsewhere. While removing potential prey can keep scorpions at bay, making the outdoor perimeter of your yard a less inviting place can also keep scorpions from setting up their homes there. Most species of scorpions hunt at night and hide from the heat during the day, so anything you store in your yard may be a potential den for them. 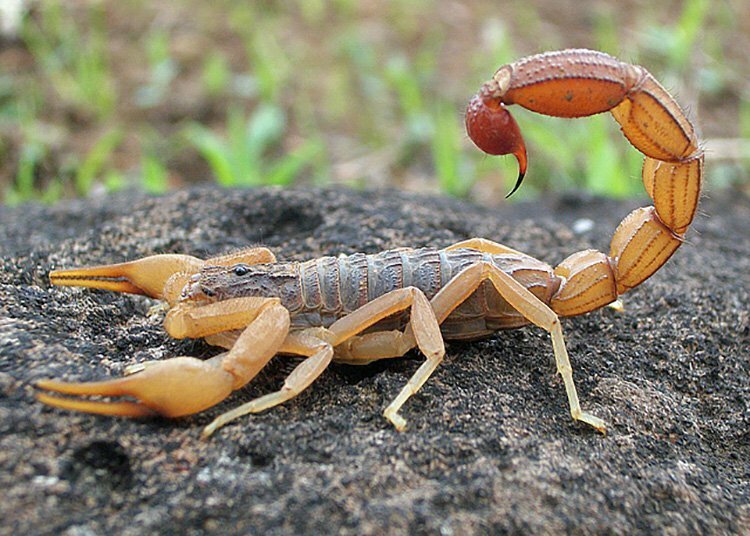 Piles of lumber, bricks, compost heaps, or trash that has not been raked or bagged after a windstorm can all make fine homes for scorpions, and once they are established and begin to breed, this can result in an infestation. Keeping your yard clean does not have to be time consuming or costly. Do not allow lumber or masonry to pile up, maintain your compost heap, and keep your backyard garden neat. The fewer places you give scorpions to hide, the greater the chance they will look for a home elsewhere. Scorpions can be both frightening and dangerous, especially when you encounter them indoors. However, taking steps to ensure that your home is not inviting to these pests is an important step in keeping them away. Many consider a conservatory as an occasional space that is suitable only when the weather is not too sunny or too cold. However, with the modern conservatory designs and its pairing with glass technology, the old concepts about conservatories have changed. Having a conservatory can increase the aesthetic appeal of your house and also add to its value. There are a number of options when it comes to choosing the right material for building your conservatory. It comes down to three main materials to choose from, uPVC, aluminium and wood. All of these options require a lot of thinking and considerations. The best material will be the one that complements the structure and design of your house. One of the main factors to keep in mind is the cost associated with each of the options. Aluminium conservatories are costly, while uPVC and wood can be in anybody’s range depending on the quality of the material used. When choosing the material for building your conservatory, you also need to keep in mind the colour options available for the material. There are unlimited options of texturing, finishes and colouring when it comes to wood conservatory. The choice of colouring and finishing in a wood conservatory largely depends on the choice of the homeowner and the overall ambiance of the house. Each colour and finishing will give the conservatory a different effect, thus it is important to keep in mind the overall look of the house when choosing the colour and finishing for the conservatory. Expected life of the material used for building the conservatory is also very important. A conservatory is not something you can build every other year. 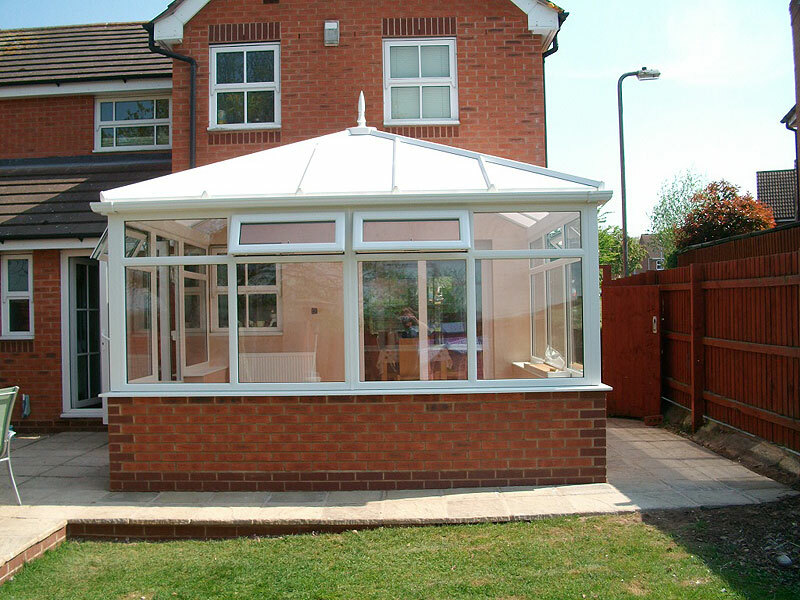 Therefore, you need to make sure that the material you use for building the conservatory is long lasting. While some aluminium and uPVC conservatories might cost less initially than a conservatory made with wood, a wood conservatory will last you a much longer time than the first two. The reason for long life of wood conservatory is the fact that it can be repainted, refinished and maintained. On the other hand, repainting uPVC and aluminium conservatories is much difficult. uPVC and aluminium conservatories will break down over time and will have to be replaced because of the worn out look it gives, while wood conservatory will last much long. If you are considering an environment friendly option for your conservatory, nothing beats wood. While initially it might seem as a threat to the environment as it necessitates the cutting of trees, but if the wood is obtained from a sustainable source, it is actually quite the opposite. When wood is used in making products, the carbon dioxide absorbed by it is sealed inside the product and does not harm the environment, neither add to global warming. If obtained from managed forests, wood conservatory is the best choice compared to uPVC and aluminium. Adding a well built conservatory to your home is not a very lengthy process and will add an aesthetic appeal to your house while increasing its value. However, before picking the material for building your conservatory, it is important that you take into consideration all the things mentioned above. Considering the pros and cons of each choice, a wood conservatory is the superior choice of the three. Are you dealing with a leak in your home but don’t know where it originated from? Or is there water flooding in from a broken pipe somewhere in your walls? When you contact an emergency plumber, they will immediately diagnose the problem using their experience and training. With this, you’ll be able to take advantage of the right solutions more quickly. When it comes to a plumbing emergency, the last thing you want to do is wait around and allow the damage to get worse. Fortunately emergency plumbers do not hold typical office hours, so they can be on site as soon as you give them a call. 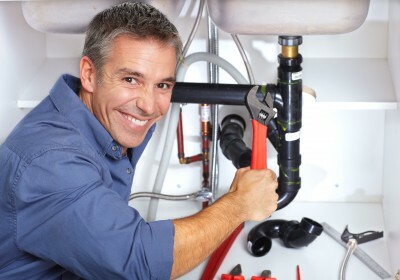 With that quick service, they can arrange repairs many hours before a traditional plumber would be able to help. In fact, most plumbers will begin repairs right away so the degree and amount of damage can be minimized as much as possible. When it comes to handling an urgent problem with plumbing, it can be easy to get overwhelmed. This is when it’s beneficial to have a plumber on site, as they can give you guidance about what’s to come next and advice about what needs to be done now. With their experience and expertise, they’ll be able to provide you with peace of mind and comfort knowing the situation will be taken care of properly. When you contact a 24/7 plumber to come to your home, they will make it their priority to arrive as quickly as possible. Once there, they will immediately get started by analyzing the situation to diagnose the problem at hand. After this they can begin the repair process straightaway so you have less of a burden on your shoulders. As a result of tackling the problem quickly with professional help, this may result in minimized damage and a much more swift clean-up as well. While there may be times when you can do DIY repairs to your plumbing, an emergency is always a time to leave it to someone who has the expertise to resolve the problem properly and efficiently. According the legal reports in the United States, houses in typical communities are burglarized every hour. Although robbers are impulsive, there are ways to prevent crimes that occur in and around a home in a residential area. In order to fully protect your home, you must invest in highly efficient monitoring equipment. Modern security systems are effective because they give homeowners peace of mind during long vacations and lengthy business trips. However, once the equipment is installed, other steps must to taken to keep potential robbers off of your property. Most robberies occur when burglars spot common signs and vulnerable spots around a home. By resolving these issues, the security system will less likely detect a burglar while you’re away from home. Thieves always scout an area before they take action, and the most strategic robbers wait patiently so that they can commit a crime without getting caught. In most communities, burglars study the trash schedule, which is why you shouldn’t put your garbage can out too early. Burglars are very wise, so they’ll know that no one is home if the trashcans are left on the curb several days in advance. Because many robbers take risks, you must place monitoring equipment outdoors in case someone tries to gain access while you’re in your home. A properly placed monitoring device can also increase security while you run errands, as you’ll get prompt alerts on your phone after a robber step on the property. Your outdoor security system won’t be effective if there are many tall hedges scattered around the property. Thick hedges, trees, and shrubs benefit robbers because they provide cover. According to professional home inspectors, nearly 81 percent of burglars try to break into a home by picking a lock on the first floor while hiding near a hedge. By keeping your hedges, trees, and shrubs properly trimmed, you’ll create an environment that isn’t ideal for robbers. Besides the increased security, a smartphone-controlled system can provide other great advantages. For example, when you forget to set the alarm, you can configure the system quickly by pressing a few buttons on your phone. Whenever someone needs to access your home while you’re running errands, the system can help you save gas, time, and money. Instead of driving to your residence, you can disengage the security system instantly by using an app on your phone. Would you like to change the look of your kitchen? This is one of the most important rooms in your home where a lot is always happening. Not only is it the place where you will spend all of your time making meals and snacks for your family, but it’s also a central location where family and friends come together. For this reason, you naturally want this room to be perfect. Just remember that if you are planning on remodeling your kitchen, this is a huge undertaking. You’ll want to take careful action to make sure that the process goes smoothly. The following is a list of essential advice for changing the look of your kitchen to make it easier to function in and more cozy and comfortable for you and your family. 1. Make a list of the things that you don’t like. You can’t know what you want to change unless you understand what you don’t like. Study the kitchen that you have right now to decide what aspects of it annoy or frustrate you, and these are the first things that you should tackle in your remodel. 2. Read up on the best appliances. 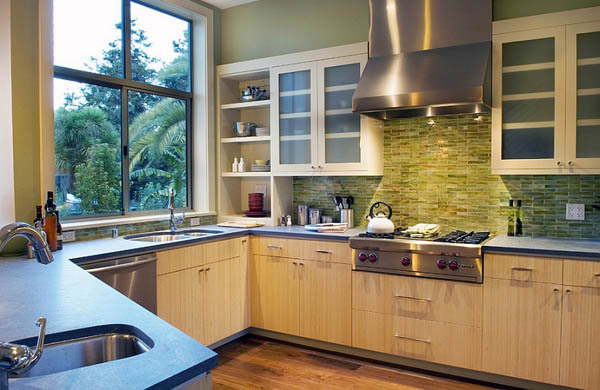 The most expensive and important parts of your kitchen will likely be appliances. Make sure that you don’t simply pick any appliance that you like the look of at the store. Instead, read up on the best brands to find the perfect appliances for you. Higher grade, luxury appliances may be more expensive, but they may provide you with conveniences that make your life a lot easier as well. On the other hand, if you’re looking to save as much money as possible on your remodel, you’ll want to get basic appliances that still operate smoothly and won’t have problems down the line. 3. Ask for professional help. Most people do a remodel of their kitchen once or twice in a lifetime, so it’s understandable if you don’t have a lot of experience in this area. There are some people who do have experience with kitchen design, however, And they can be an immense help throughout this process. Don’t be afraid to ask for professional help when arranging your redesign. Finally, don’t forget that it’s important to have input from your family members as well. Often with a remodel project, there’s one family member who organizes everything. This makes sense for logistical reasons, but remember that everyone in your family will be spending time in your kitchen, so it’s important to get some feedback from the other members of your family. If you do work together and plan ahead, you’ll be sure to create a lovely place where you and your family can spend time and eat great food together for years to come. Go online. Look at some websites and compare what they offer in terms of services and prices. Then if you can, get information from at least three companies. You can compare their services and corresponding charges. Check if they have a licence to operate. If you can, check the registration in government or industry regulatory bodies. If you get bad information from these, the best thing to do is to scratch them from your list. Once you have made the big decision, be sure to record all the details of the things you are going to move. If the mover sees a grand piano which you failed to mention, they will charge you for this. To avoid these problems, let the moving company know what the things are that you are going to move. To know which moving company to trust, you could ask for feedback from friends. Referrals are important but you can also check the customer reviews for further feedback. You can log in to websites that review service oriented companies. The higher the rating of the company, the better. Create a checklist of what services you need from a professional mover. Here you can include packaging, air and water transport. All the services should depend on your needs. It is better that they do the packaging themselves since they know how to pack any item. It does not matter what size it is, they can pack it. This is an important thing because it protects your things from getting destroyed. Moving is a bit pricey for an average British person. But sometimes it is unavoidable. This is the reason why it is important that you try to get several estimates from some movers. By doing this, you are able to find the lowest priced mover within your budget. Get a mover that offers all the works. The good thing about these companies is that they take all the worries away from you. They clean your property, offer self storage and pack your things. 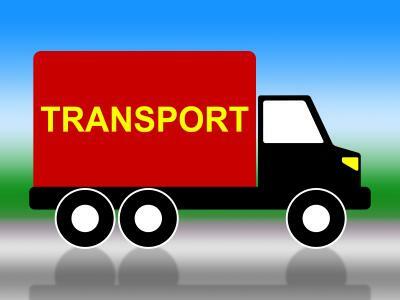 There are movers who withhold information even if you request it. The trick to doing this is to ask all the questions you need to ask. If they avoid a question, try to go around it by asking other questions. One thing you need to ask is – what protection they offer you and your things. These are some of the things you need to know and do for a smooth sailing move. If you’re unsure of which company to turn to, you can always trust Cheltenham removals for the best service. There is no doubt that vintage lights are amazing. They can light up the room perfectly. They look amazing and they will drastically transform the place where they are installed. If you have decided to give them a try, you are heading in the right direction. Before shopping, there are a few things that you might want to consider first. Number of lights. If you are buying vintage lights, it is best if you buy a lot of them at once. This will make it easier for you to decide how much to spend for each light. It could also give you discounts. Some stores offer lower prices for people who decide to shop for more items. Besides, it is not like you are not going to buy more of these lights in the future. If you can buy them all at once and get a lower price, it would be a great deal. Availability of replacement parts. The good thing about vintage lights is that they look amazing. The down side is that you might not easily find replacement parts. You have to check first what bulbs were used in the fixture. You should also check how much it would cost you to have the said part replaced. It is possible that some of the bulbs would explode or encounter some other issues. It would be best if you know in advance what to do to have the lights replaced. Price. Vintage lights are quite pricey. This is due to the materials used as well as the intricacy of the designs. Some designers take days just to finish off the smallest details on the design. You might not appreciate it from afar, but you will realise just how difficult the process is up close. Hence, it is justified if the lights are sold at a higher price. Therefore, you need to know how much you have to spend to bring home the items you want to buy. The good thing is if you are targeting industrial lighting available online, there are a lot of stores to choose from. Some of them even sell their items at a price lower than the regular store price. You can also earn points with some stores. This means that if you collect a lot of points, you can get bigger discounts the next time around. Hopefully, you choose the right lights to make your house look amazing. Just give it a shot and you will realise how it could alter the ordinary look of your house and spruce it up. 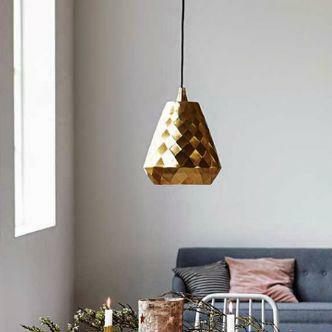 You won’t regret your decision to invest your money in these delicate but beautiful lights. There are several materials to choose from if you want to get a dependable, practical, beautiful, and elegant worktop – the one you select will depend largely on your budget and personal taste. It should come as no surprise that quartz is very common, and kitchens around the world are proud to have such a piece of splendor. But what exactly is quartz? How is it fabricated, and what are the benefits? What about the drawbacks? If you’re thinking about getting a new worktop and considering one made of quartz, then this one’s for you: here’s your top quartz worktop guide to help you decide if this material is right for your needs. It’s a point to consider, and it’s an important point. Quartz is not always what the label says it is. It really depends on the manufacturer, so before you purchase it, check with them first. Quartz is mined and then crushed in a factory, where it’s mixed with resin to create a beautiful and strong slab of stone. The mixture is usually 93% stone to 7% resin. That’s where the preference of different manufacturers comes in: not all quartz is 93% true quartz – some are less and other stone fragments are used. Price is often an indicator. All quartz is from Italy, if you care to go that far back. The Italian company Breton patented the process, and all other companies that came afterwards are essentially using Breton’s patented method of quartz slab making. It’s useful to know, because the Italians do know a thing or two about style. The appearance of quartz worktops is wonderful; elegant, beautiful, and timeless. Quartz is a wonderful material but you need to be sure about the percentage of true quartz it contains, considering it can be quite pricy. Here’s one other aspect you should know about quartz – it’s not a slab of pure, natural stone. It was upholding that image for a while (mostly as a marketing scheme) when trying to compete with granite (which is really a natural slab of stone). Luckily, they are not trying to fool anyone anymore, and marketing efforts have been in place to promote quartz, rightfully, as less porous, and therefore easier to maintain, easier to clean, and healthier when it comes to moulds and bacteria. Nevertheless, it’s as close as you can get – with added advantages, as confirmed by both granite and quartz worktop London experts like J.R. Stone. It’s easy to see why many people underestimate the process of packing – and packing well. 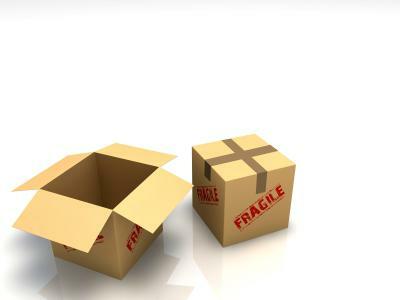 After all, it’s easy to think of the tasks as simple; what’s so hard about putting a couple of things in a box, after all? However, anyone who’s ever had to move from house to house understands that the whole adventure is harder – and more tiring – than originally anticipated. It’s not as simple and straightforward as most would guess. On the other hand, there’s some good news. It’s not as difficult as you may fear, either, for as long as you follow some simple guidelines and do it in an organised way. Wondering what the best methods are? Here’s how to pack for your move like a pro. It’s a basic rule: don’t leave it until the last minute, because you might not make it. Often it’s fear of the project itself, often it’s laziness, often it’s not knowing where to start. The fact is that you probably own a lot more than you think, and it’s easy to get delayed because of reminiscing when you find an old album or ancient photos. Start now. Don’t delay. Check with the company and see how they like to have the things they must transport packed. They may have special requirements, and these requirements are probably there for good reason. Chances are their guidelines are simple and straightforward, so make sure you stick with the rules and regulations of the removals company. Not everything will fit into boxes – generally speaking, large things such as furniture can be transported without packing, provided they are properly wrapped. Do an inventory and get an idea of the project first. It’s important to get the right boxes – don’t merely get just any box that comes in handy. Be prepared to spend some money for the right materials. It’s not just the boxes that are important – you should also be able to purchase other things. Proper tape, good labels, pens, things that will make packing a lot easier. Don’t forget bubble wrap, foam, and other necessities, as removals Gloucester experts like Andrews Removals confirm. Here’s another hint – and it’s an important one for several reasons. Label your boxes and label them well. Firstly, this will ensure a smooth transportation and will help the movers identify which boxes contain breakable items and which are generally safe. Secondly, it will help you decide which needs to be moved first, and which can wait. And thirdly, it will save you lots of time when it’s time to unpack. Label them professionally – buy stickers and use colour coding. The bigger the label, the better. Happy moving! The adventure has begun!